Suparom @ - November 2016! WHAT IS THE THAI MASSAGE? massage gown, on a mattress placed on the ground. In addition to their fingers, the Thai massage gown, on a mattress placed on the ground. In addition to their fingers, the Thai masseuses use their hands, elbows, knees and foot very effectively during the massage of PHYSIOLOGICAL POINTS. 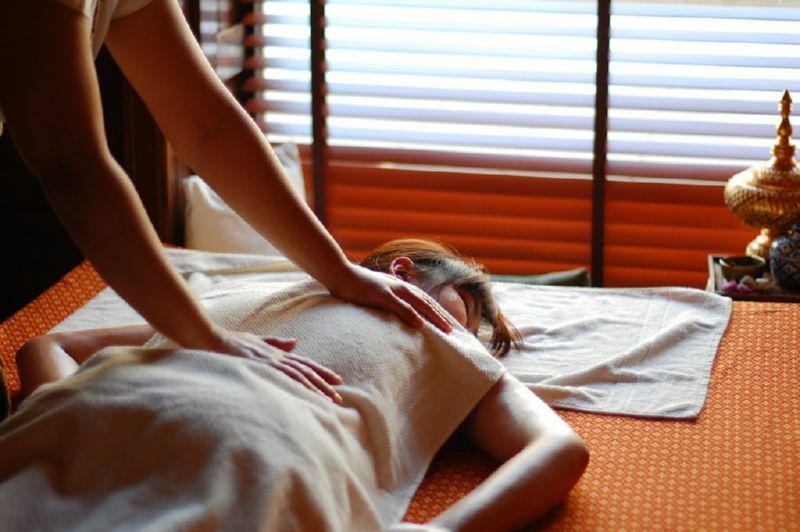 They are increasing the EXTRAORDINARY EFFECTS of the massage by "pulling" and kneading the different parts of the body. The original Thai Massage lasts for 1.5 hours. You ll find that you are FRESHER both PHYSICALLY and MENTALLY and you ll feel MORE ACTIV and BALANCED. Traditional Thai Massage. The first Thai massage center in Warsaw.